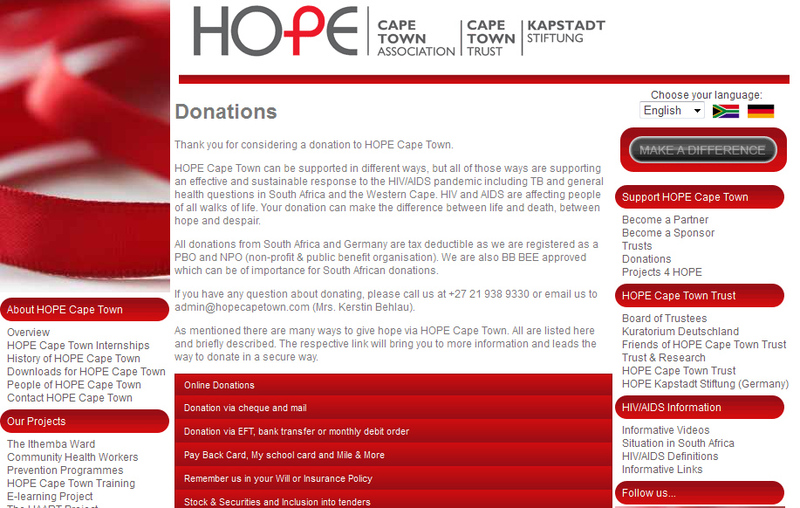 HOPE Cape Town strives to make giving a donation as easy as possible. 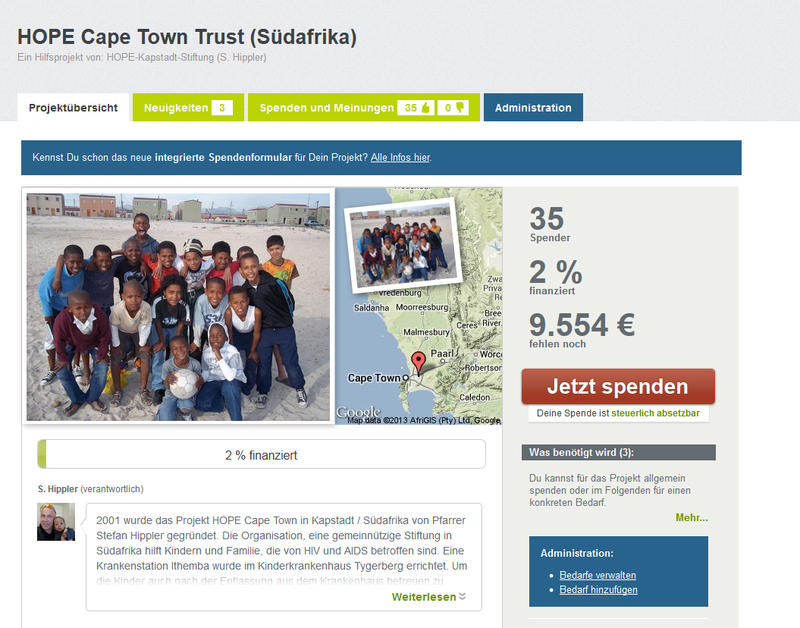 Please have a look at our newly designed donation page with high security for donations via credit card, EFT or by other means. And please spread the word – we are can only be as good as our donors and sponsors are willing to give a hand to those less fortune here in South Africa.